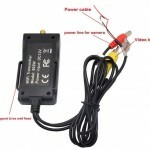 This product allows the integration of your factory or aftermarket backup camera with an iPad or similar tablet. This product is a MUST-HAVE for anyone purchasing one of our tablet dash kits. Whether you want to add a back-up camera or keep your factory one, this piece will do the job. 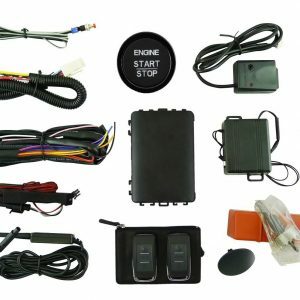 This product allows the integration of your factory or aftermarket backup camera with an iPad or Android tablet. This product is a MUST-HAVE for anyone purchasing one of our tablet dash kits. Whether you want to add a back-up camera or keep your factory one, this piece will do the job. 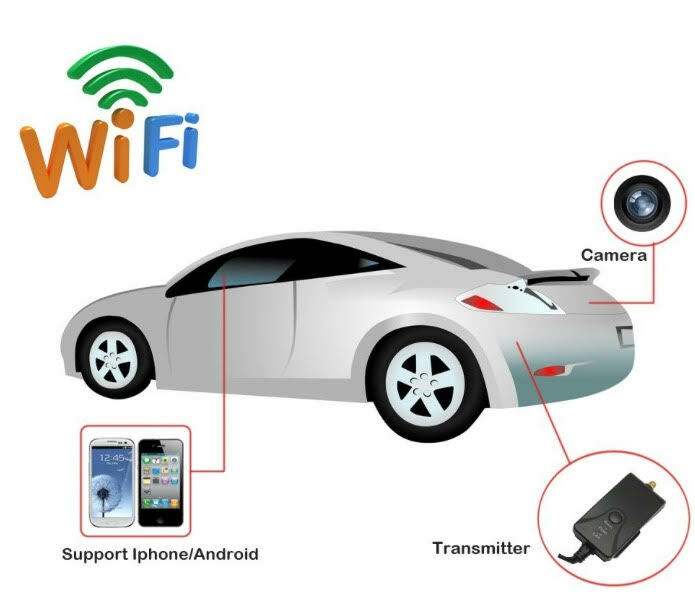 •WiFi transmission, support iPhone, iPad, and android phone. 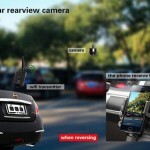 •Adjustable multiple angle camera viewing, with image-flip ability. 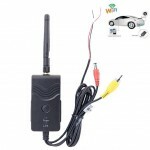 •12 VDC car power supply. •Transmission distance with no obstacle more than 100 meters. If there is no connection for the yellow and red cable how do I install? 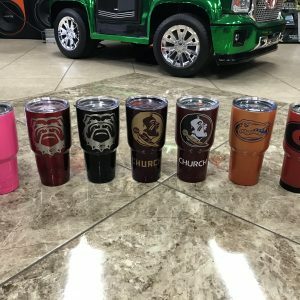 I want this for my iPad dash kit but I drive a 2015 mustang and I don’t want to mess it up. 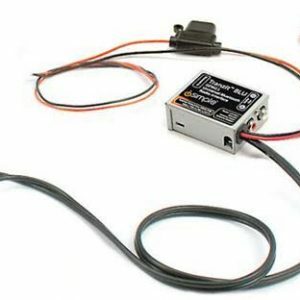 How easy is it to install this integration? Will I have to take it to some mechanic? No Mechanic Required. We’ve got an instructional video that walks you through it in about half an hour. Yes, if you have a factory or aftermarket camera, it’ll allow you to display your camera on your tablet or phone. Is there a harness for the back up camera so I could avoid cutting if I want? 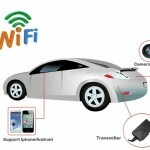 Also does the back up camera require a wifi internet connection or does it just use the wifi network? You are required to splice into the existing wiring. Unfortunately, there is no plug and play harness. Also, the wifi signal is the means by witch the device communicates, it does NOT require a wifi network. Ok so your running wifi avin is it using the data plan on the device or your using another devices hotspot to run the data ? 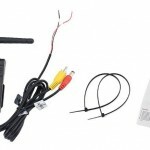 The wifi cam integration does not require the use of data. It is WIFI direct. Are there any additional parts that I need or does everything come in the box?